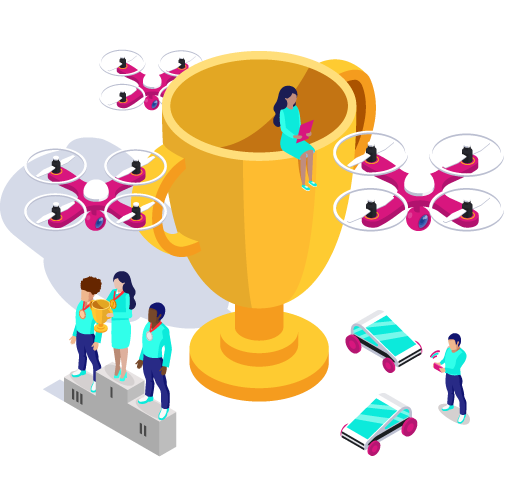 With support from our amazing sponsors, we engage Local Councils, companies, and schools, bringing together students, teachers, and industry professionals to work together on fun challenges, solve problems, and compete for the most innovative ideas. This encourages more collaboration and knowledge transfer. Students learn about careers and see how the school curriculum is relevant to the world of work, and businesses engage with the local community, building relationships with young talent early on, having the opportunity to shape their understanding of the world of work. The ‘Intro 2 Industry’ Pilot is on Autonomous Vehicles. 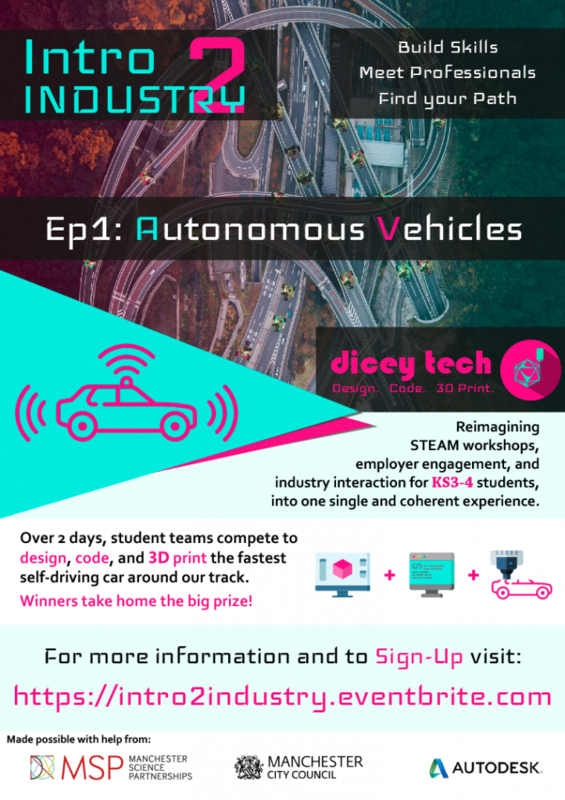 We will bring professionals from the Auto industry in the same room with students in years 9 and 10 to design, 3D print, and programme a vehicle that will navigate autonomously around our track. At the end of the two days we will have a brief discussion with a panel about the future of Autonomous Vehicles, where they see the industry going, and what it takes to build a career in the area. Do you want us to bring our competitions and organise events in your community?